If you suffer from anxiety, depression, low self-esteem, or perfectionism, your thinking can skew your perceptions. Cognitive distortions reflect flawed thinking, often stemming from insecurity and low-self-esteem. Negative filters distort reality and can generate stressful emotions. Thoughts stir up feelings, which in turn trigger more negative thoughts, creating a negative feedback loop. 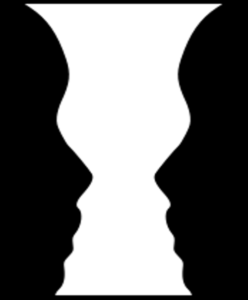 If we act on our distorted perceptions, conflict ensues that can give rise to unintended negative consequences. Magnification is when we exaggerate our weaknesses or responsibilities. We can also inflate negative projections and potential risks. It’s also called catastrophizing, because we’re “making mountains out of molehills” or “blowing things out of proportion.” The underlying assumption is we won’t be able to handle what will happen. It’s driven by insecurity and anxiety and escalates them. Another distortion is minimization, when we downplay the importance of our attributes, skills, and positive thoughts, feelings, and events, such as compliments. We might magnify someone else’s looks or skills, while minimizing our own. If you’re in a group sharing, you might think everyone’s pitch was better than your own. Stop comparing. It’s self-shaming. Do you think in absolutes? Things are all-or-nothing. You’re the best or the worst, right or wrong, good or bad. When you say always or never, it’s a clue that you may be thinking in absolutes. This involves magnification. If one thing goes wrong, we feel defeated. Why bother? “If I can’t do my entire workout, there’s no point to exercise at all.” There’s no gray and no flexibility. Life is not a dichotomy. There are always extenuating circumstances. Situations are unique. What applies in one instance may not be appropriate in another. An all-or-nothing attitude can cause you to overdo or miss out on opportunities to improve and gradually attain your goals––how the tortoise beat the hare. Exercising for ten minutes or only some muscle groups has big health benefits, compared to doing nothing. There are health risks to overdoing, as well. If you believe you have to do everyone’s job, work overtime, and never ask for help, you will soon been drained, resentful, and eventually, ill.
Self-criticism and shame generate anticipation of failing and rejection. Perfectionists also distort reality by assuming negative events or negative outcomes are more likely to occur than positive ones. This creates tremendous anxiety about failing, making mistakes, and being judged. The future looms as a dangerous threat, rather than a safe arena to explore and enjoy our lives. We may be projecting the unsafe home environment from our childhood and living as if it were happening now. We need to recruit a loving parent within us to shine the light of consciousness on our fears and reassure ourselves that we’re no longer powerless, have choices, and that there’s nothing to fear. Perfectionists tend to overgeneralize by making global, negative attributions about themselves and about their negative projections. When we don’t measure up to our rigid, unrealistic standards, we not only think the worst of ourselves, we expect the worst will happen. If we spill our water at a dinner party, it’s not just an embarrassing accident, we’re mortified, and certain we made a clumsy fool of ourselves. We go one step further with a negative, projection and overgeneralize to imagine that everyone thinks the same, won’t like us, and won’t invite us again. To overcome perfectionism, see “I’m Not Perfect, I’m Only Human” – How to Beat Perfectionism.